UNITED NATIONS — A non-profit organization that monitors the United Nations published a report Tuesday criticizing the U.N.’s growing use of private military and security companies. According to the report, incomplete U.N. data shows a steady rise in the number of security contracts from 2006-2007, with the value increasing from $44 million in 2009 to $76 million in 2010, the latest data available. The majority of contracts in 2010 — $30 million worth — were for activities by the U.N. Development Program followed by $18.5 million for U.N. peacekeeping operations and $12.2 million for U.N. refugee activities, it said. The United Nations human rights chief, Navi Pillay, on Monday accused Eritrea of carrying out torture and summary executions. Ms. Pillay told the United Nations Human Rights Council that there were 5,000 to 10,000 political prisoners in Eritrea, which holds a strategic stretch of the Red Sea coast and has been ruled by a single party and president since independence from Ethiopia in 1993. “Credible sources indicate that violations of human rights include arbitrary detention, torture, summary executions, forced labor, forced conscription and restrictions to freedom of movement, expression, assembly and religion,” Ms. Pillay said. 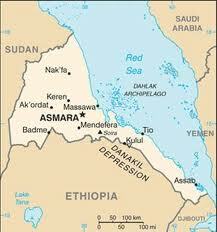 She said the Eritrean government had not responded to requests to discuss her concerns. BAGHDAD – Iraq is drawing detailed maps of areas contaminated by landmines and unexploded ordnance (UXO), but is unlikely to clear these areas by a 2018 deadline, says a government official. “Lack of detailed maps for landmines was one of the major problems and it delayed our mine-clearance efforts because the previous regime planted them randomly,” Deputy Environment Minister Kamal Hussein Latif told IRIN. “We have teamed up with the ministries of interior and defence since 2011 to start our own survey which will help to identify the exact contaminated areas,” he said. Despite this, Latif added, the country will not meet the 2018 deadline to clear all landmines and UXO. Iraq set itself the target in 2008 when it joined the Ottawa Convention, under which it committed not to use, produce, acquire or export landmines. The first province to be mine-mapped is Thi Qar, 400km south of Baghdad, where 98sqkm are confirmed as hazardous. Teams will continue work this year in the most contaminated southern provinces of Basra, Maysan, Muthana and Wasit. Many of Iraq’s landmines date back to the 1960s when fighting began between the Baghdad government and pro-independence Kurdish rebels in the north. The 1980-88 Iraq-Iran war, the 1991 Gulf War and the 2003 US-led invasion added to the problems. The largest contaminated area stretches for hundreds of kilometres along the border with Iran. Large quantities of UXO also remain scattered throughout cities and towns. Today, Iraq is one of the most mine-contaminated countries in the world with landmines and UXO covering 1,730sqkm, according to the UN Development Programme (UNDP). Around 1.6 million Iraqis in 1,600 communities, or one in every 20 Iraqis, are affected. Up to 90 percent of contaminated land is agricultural, with many landmines also found around major oil fields. A United Nations Mine Action Employee has filed a lawsuit against Ronco Consulting Corporation for negligence after stepping on a landmine resulting in an immediate below the knee amputation in an area previously cleared by and certified clear of landmines by Ronco Consulting. NEW DELHI—A report from a U.N. mine removal expert says unexploded cluster munitions have been found in northern Sri Lanka, appearing to confirm, for the first time, that the weapons were used in that country’s long civil war. The revelation is likely to increase calls for an international investigation into possible war crimes stemming from the bloody final months of fighting in the quarter-century civil war that ended in May 2009. The government has repeatedly denied reports it used cluster munitions during the final months of fighting. Cluster munitions are packed with small “bomblets” that scatter indiscriminately and often harm civilians. Those that fail to detonate often kill civilians long after fighting ends. They are banned under an international treaty adopted by more than 60 nations that took effect in August 2010, after the Sri Lankan war. The nations that haven’t adopted the treaty include Sri Lanka, China, Russia, India, Pakistan and the U.S., which says the bombs are a valid weapon of war when used properly. 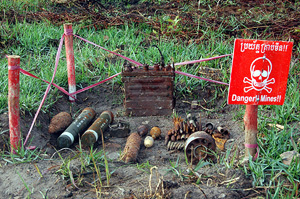 The Associated Press obtained a copy Thursday of an email written by a U.N. land mine expert that said unexploded cluster bomblets were discovered in the Puthukudiyiruppu area of northern Sri Lanka, where a boy was killed last month and his sister injured as they tried to pry apart an explosive device they had found to sell for scrap metal. The email was written by Allan Poston, the technical adviser for the U.N. Development Program’s mine action group in Sri Lanka. “After reviewing additional photographs from the investigation teams, I have determined that there are cluster sub-munitions in the area where the children were collecting scrap metal and in the house where the accident occurred. This is the first time that there has been confirmed unexploded sub-munitions found in Sri Lanka,” the email said. During the final weeks of the war, tens of thousands of civilians and Tamil Tiger rebel fighters were trapped in a tiny section of Puthukudiyiruppu as attacking government forces closed in on them. 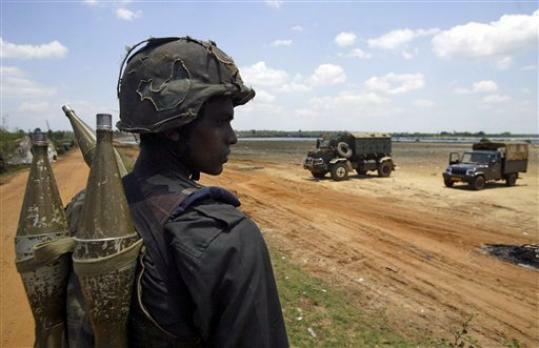 Lakshman Hulugalla, a Sri Lankan government spokesman on security matters, said the military had not used cluster munitions in the war. “We are denying that information,” he said. 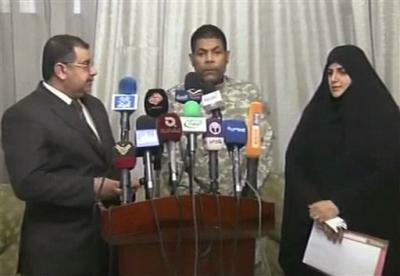 Wearing a U.S. Army uniform and flanked by Iraqi lawmakers, an American citizen announced Saturday that he was being released from more than nine months of imprisonment by a Shiite militia that for years targeted U.S. troops. The man did not identify himself. But at a bizarre press conference outside the Green Zone in Baghdad, lawmakers showed U.S.-issued military and contractor ID cards that identified him as Randy Michael Hultz. Speaking calmly and tripping over Arabic names in a monotone voice, Hultz said he was grateful for his release. “It was explained to me that this is a gift to me, my family and to the American people who oppose the war,” he said at the press conference that was held for Iraqi media. A U.N.-African Union peacekeeper was killed and three others were wounded in Sudan’s conflict-torn western Darfur region on Wednesday when their patrol was ambushed, the United Nations said. “A patrol moving from Nyala to Shearia in south Darfur was ambushed at Baraka village. The initial reports indicate that three peacekeepers were wounded and one was killed,” said U.N. spokesman Martin Nesirky. No further details were available. KABUL, Afghanistan — The United Nations withdrew its international staff from an office in Kunduz, in northern Afghanistan, this week after the office was stormed over the weekend by an angry mob protesting the burning of several Korans by the American military. The attack on Saturday, by a crowd of about 500 people armed with sticks, stones and metal pipes, raised fears of a repeat of the assault on the United Nations office in Mazar-e-Sharif last spring that killed 12 people, including 7 United Nations staff members. This time, though, security guards and police officers in Kunduz were able to stop the crowd from breaching the walls of the office. But with the situation still volatile senior United Nations officials decided not to take the risk of having international staff remain there. Denise Jeanmonod, a United Nations spokeswoman in Kabul, said that about 15 international staff members had left the Kunduz office and returned to Kabul. Only the staff of the Kunduz office has been withdrawn because of the recent unrest, she said. LONDON, 10 February 2012 (IRIN) – The UN recognizes the international community’s Responsibility to Protect (R2P) civilians during conflict, and this philosophy has quickly become embedded in peacekeeping and peace enforcement missions, but a new report questions some basic humanitarian assumptions. R2P evolved in the 1990s in the aftermath of the Rwandan genocide in realization that states could no longer be relied on to protect civilians, so the onus was placed on the international community to prevent gross human rights abuses, a belief that has since been cited as a reason to intervene in places like Libya and Syria. Yet the reality – reinforced by a new study from the UK’s Overseas Development Institute (ODI) entitled Local to Global Protection in Myanmar (Burma), Sudan, South Sudan and Zimbabwe – is that in conflicts and crisis people almost always have to provide their own protection, for themselves, their families and their villages. ODI’s Humanitarian Practice Network set out to see what protection there was for communities facing real and serious crises in two areas of Myanmar, in the Sudanese province of South Kordofan, in Jonglei State in South Sudan, and in Zimbabwe. Their researchers asked people what they saw as the most serious threats they faced, what they themselves could do about the threats, and what they thought of any outside help which might have been available. NAIROBI, 12 January 2012 (IRIN) – One of the few aid agencies excluded from a ban imposed by Al-Shabaab insurgents in Somalia has suspended food and seed distributions to 1.1m people in the south and centre of the country after local authorities repeatedly blocked its deliveries. “The suspension will continue until we receive assurances from the authorities controlling those areas that distributions can take place unimpeded and reach all those in need, as previously agreed,” said Patrick Vial, the head of the ICRC delegation for Somalia, in a statement released on 12 January. Without specifically mentioning Al Shabaab, which controls most of the region, the ICRC said deliveries intended for 240,000 people in the Middle Shabelle and Galgaduud had been blocked since mid-December 2011. Faiza Patel, Chair of the Human Rights Council’s Working Group on the use of mercenaries as a means of violating human rights impeding the exercise of the right of peoples to self-determination, told correspondents today about the Working Group’s visits to Equatorial Guinea, South Africa and Iraq. Equatorial Guinea had been the site of a coup by mercenaries in 2004, many of whom had come from South Africa, she said, which had led to prosecutions in Equatorial Guinea, South Africa and Zimbabwe. The Government of Equatorial Guinea had also alleged an attempted coup in 2009. The Working Group had been unable to verify those claims, but found that that there were credible reports that those arrested had been tortured and were denied fundamental due process rights in their trials. Four convicted persons were summarily executed one day after the Working Group left. A United Nations panel today called for greater regulation of mercenaries and private military and security companies by both host and contributor countries to ensure respect for human rights and accountability for any abuses committed.“Outsourcing security creates risks for human rights,” panel Chair-Rapporteur Faiza Patel told the UN Human Rights Council in Geneva in presenting reports on Iraq, South Africa and Equatorial Guinea. The three countries present different aspects of the problem, with Iraq a major theatre of operations by private military and security companies; South Africa a major source of people with extensive military skills and experience unwilling or unable to find jobs since the end of apartheid in 1994; and Equatorial Guinea the scene of a 2004 coup attempt involving mercenaries. The panel, whose full title is the Working Group on the use of mercenaries as a means of violating human rights and impeding the exercise of the right of peoples to self-determination, noted in its report on Iraq that incidents involving private military and security companies there had dropped since the killing of 17 civilians and wounding of 20 others in Nissour Square in Baghdad by employees of the United States security company Blackwater in 2007. But it added that Iraq continues to grapple with the grant of legal immunity extended to private security contractors by US authorities after the 2003 invasion, preventing prosecutions in Iraqi courts while the case against the alleged perpetrators is still pending in US courts. “The Working Group is deeply concerned about the lack of accountability for violations committed between 2003 and 2009 and recalls that the victims of such violations and their families are still waiting for justice,” the report said, calling on Iraq to clarify urgently whether a provision it signed with the US in 2009 removing immunity of some private foreign security contractors covers all contractors employed by the US Government and is applied in Iraqi courts. On South Africa the panel noted that legislation passed in 1998 has not had a significant impact on the private military and security industry, and new laws adopted after the attempted coup in Equatorial Guinea, in which several South African mercenaries were involved are not yet in force. 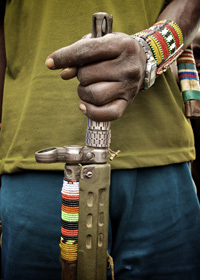 “While such legislation seeks to address some of the problems encountered previously, it remains to be seen whether the new legislation will effectively regulate the provision of security services in areas of armed conflict,” it said, calling for accountability mechanisms for private military and security companies at the domestic level as well as effective remedies for potential victims of human rights violations involving such companies. The report on Equatorial Guinea noted that the 2004 coup attempt was the most widely reported incident clearly involving mercenaries, some of them employees or former employees of private military and security companies from several countries, illustrating “possible close and disturbing links” between mercenaries and such companies. This makes the monitoring of such links all the more necessary, it said, calling on the Government to adopt laws to regulate the activities of such companies and their employees. Turning to an armed attack on the presidential palace in Malabo, the capital, by alleged mercenaries in 2009, the panel regretted the authorities’ lack of transparency and lack of cooperation extended during its visit to the country. It urged the Government to make available to the public full information on all judgments rendered in the criminal cases relating to the attack. “Since all mercenaries should be held accountable for their actions, the Working Group recommends that anyone who is accused of involvement in a mercenary-related incident be tried by a competent, independent and impartial tribunal and in compliance with international human rights standards,” the report concluded. ABUJA, Nigeria, Aug. 26 (UPI) — A suicide car bomb collapsed an interior wall at the U.N. building in Abuja, Nigeria, Friday, killing at least 18 people and injuring others, officials said. 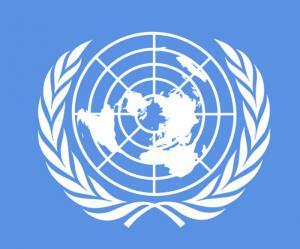 U.N. officials said the number of dead was likely to rise considerably, The New York Times reported. Witnesses reported seeing Red Cross officials taking bodies from the building to the National Hospital after the 11 a.m. blast, CNN reported. Rescue officials were at the building helping to extract people from the rubble, witnesses said. The National Hospital in Abuja treated “many casualties, lots of them seriously injured,” a hospital official told CNN. A group of independent United Nations experts today called for the adoption of binding international regulations to control the activities of private security companies. 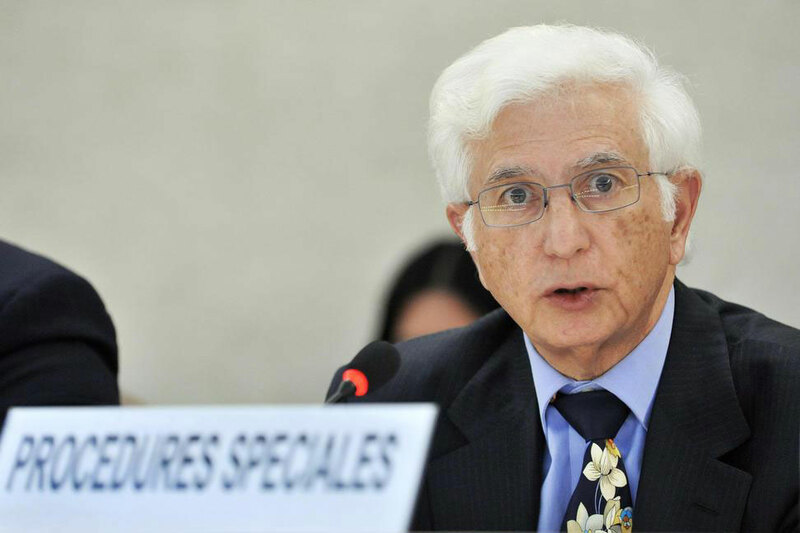 José Luis Gómez del Prado, the Chairman of the UN Working Group on Mercenaries, told a news conference at UN Headquarters that “the international community needs clarification on the jurisdiction” of such companies. Mr. Gómez said there is a legal “gap” between recognized international conventions on the use of mercenaries, and the control of private security companies that are often used by governments and non-governmental organizations (NGOs). The Working Group had already submitted proposed legislation to the General Assembly and the UN Human Rights Council in Geneva which were being discussed at the expert level. Mr. Gómez said that many countries had proposed self regulation and codes of conduct, but the panel is proposing a specific international instrument that would be agreed on by national governments. “What we are proposing is a binding instrument for States that is very clear” to include licensing, national and international monitoring of activities and civil and criminal laws regulating them. The instrument, he said, would also have measures specifically to deal with victims. The panel visited Iraq last month and urged the Iraqi Government to prioritize the adoption of legislation regulating security companies that has been pending since 2008. “While US troops are scheduled to leave Iraq by the end of the year, security contractors are there to stay. The urgency to regulate their activities couldn’t be greater,” he said today. Alexander Nikitin, a member of the Working Group, said the different methods of control for private security companies in Iraq and Afghanistan highlighted the need for international standards.